Go to the map. Here you can click on icons for discriptions of places and activities around the island. 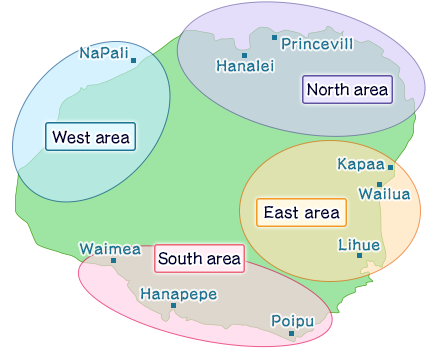 -Kilauea Lighthouse, Lumahai Beach, etc. -Fern Grotto, Blue Hole, etc.